For me one of the greatest pleasures of living here in the foothills is opening my shutters each morning and looking out over the mountains, especially at this time of year when the first snow on the highest peaks is bright white against the blue sky and the leaves are a hundred shades of orange. For most people who buy a house in this area, it is the view of the mountains which is one of the greatest attractions; it is what makes this region special and different to say living in Surrey. And, most of us really want a view of those mountains from our house here – even if it is just a glimpse from the upstairs window. There is something quite magical and uplifting about mountains and their constantly changing panorama; and who wouldn’t want to incorporate a bit of magic into their life? But this has got me thinking – how much is a view worth in terms of property prices? I thought I would try to find out – at least for this region. 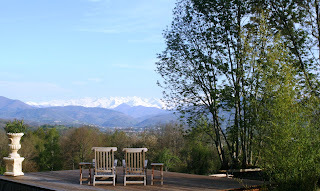 There is no published research – I guess it is a hard concept on which to put a figure – but a quick visit to a few of my local agents came up with a pretty conclusive result that a view of the mountains (a proper view, not just a glimpse) from the house and garden adds at least 50% to a property. 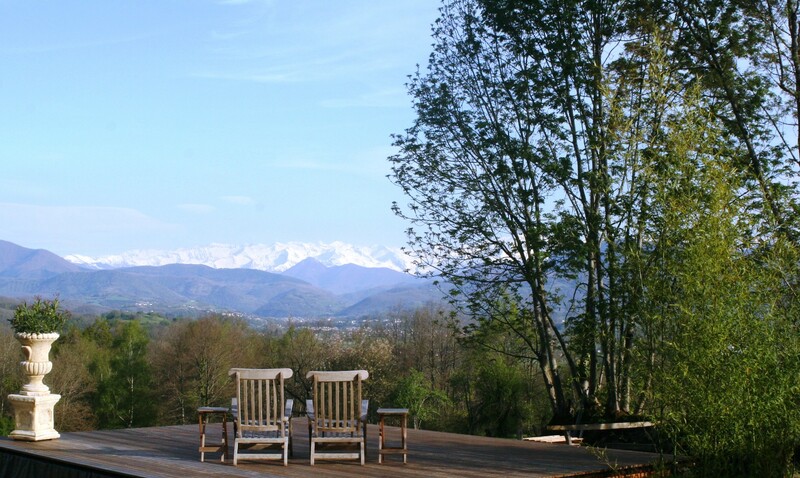 What’s more, all the agents here say that a house with a view of the mountains, however distant, will usually sell twice as quickly as one without. Having looked at many houses in this region, both with and without a view, I don’t think this is unreasonable. In my opinion, a mountain view is worth every penny, even if it means compromising on the size or condition of the house. Both of these can be changed but, in most cases, it is very difficult to create a view where one doesn’t exist. It may be a well-worn property cliché but location really is everything and even more so when it comes to buying a house here in the foothills.